dave east uncle murda New Music: Uncle Murda Feat. Dave East "Tonite"
New Music: Uncle Murda Feat. Dave East "Tonite"
After sharing the projects first single, “Statue Of Limitations” f/ 50 Cent, Uncle Murda & “No More” featuring Jadakiss, Uncle Murda returns with Don’t Come Outside’s third single “Tonite” featuring Dave East which was exclusively premiered by Hotnewhiphop. 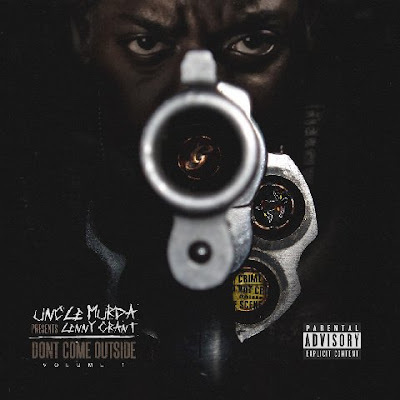 Murda also offered some clarity on his upcoming release plans “Don’t Come Outside- Volume 1- came about because I pushed my Lenny Grant project back after playing some music for 50 Cent. 50 wants to give it a bigger and better look when the time was right; that's how good the music is motherfuckers--its timeless music. So I decided to put out Don’t Come Outside so GMG, ATM & The Unit can dictate policy on the streets and get y'all ready for what's about to come. Now for those of y'all that know me, yes, I'm talking crazy on this project. The content is very aggressive and I promise y'all won't be disappointed. Weirdoes are gone start getting smacked! Blame me for the crime rate going up; but in a good way! Don’t Come Outside is very entertaining! I got 50 Cent, Jadakiss, Young Dolph, Dave East, Maino, Don Q, Trick Trick on the project as well and we are also introducing y'all to some new talent that y'all need to get accustomed to. Hope y'all enjoy the new project for at least a week! If you live in a bad neighborhood and you not bout that life, trust me ni**s gone go upside ya head just because."